Home - News - Does a warm winter mean worse spring allergies? With the exception of a few cold snaps and a bit of snow, winter had little impact on the Sooner state this year. And now that spring has arrived, allergy sufferers are paying for those warmer-than-usual months. 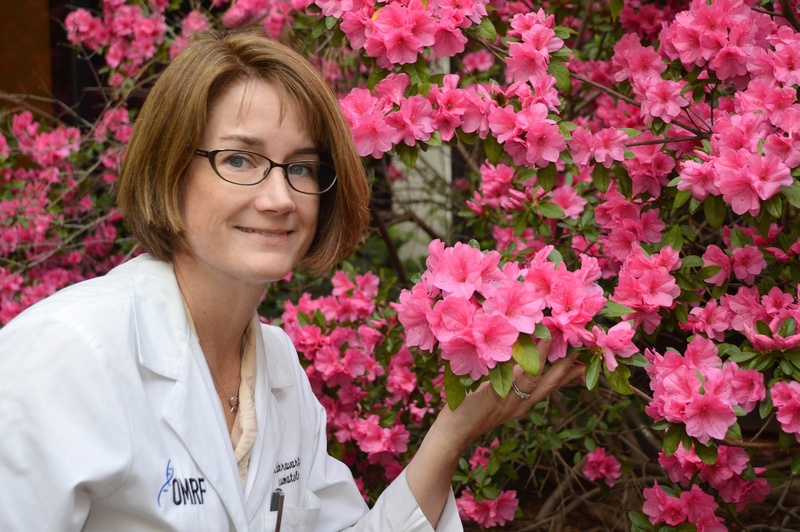 While Oklahoma City and Tulsa routinely rank among the top cities in America for springtime allergies, sniffles and watery eyes seem to be worse than normal this spring, said OMRF immunologist Eliza Chakravarty, M.D. The culprit, she said, is that warm winter weather. Oklahoma is already tough on those with allergies thanks to the swirling winds and the types of pollens blowing around in them, but a warmer winter adds other factors to the mix. First, warmer weather means the growing season starts earlier, extending the period in which allergens are present. But early spring allergens aren’t the only antagonists mounting an attack after a lack of cold weather: fall allergies won’t go down without a fight. To make matters worse, she said, is the relative lack of rain the past few months. Early blooming mixed with high winds and a lack of rain equates to a perfect storm of allergens, because the pollen hasn’t been tamped down into the soil, making allergens much more volatile and widely dispersed. Your allergies might seem like an unbeatable foe—especially this year—but there are ways you can protect yourself to at least minimize their impact on your immune system. Other easy-to-implement tips include regularly washing your hands and changing your clothes after spending time outside to remove as many pollen particles as possible. And if you have pets who spend time outside but come in your house, bathe them more often to remove the pollen from their coats. Once you take care of your immediate environment, medication is always an option. “Over-the-counter antihistamines are your friend,” she said. Luckily, the usual suspects that come with allergies—sneezing, watery eyes, congestion and so on—aren’t dangerous, she said, but they are annoying. Antihistamines do a good job limiting the allergic response to help soothe the symptoms.